Reset yourself to a new rhythm: rest, relaxation and indulgence. 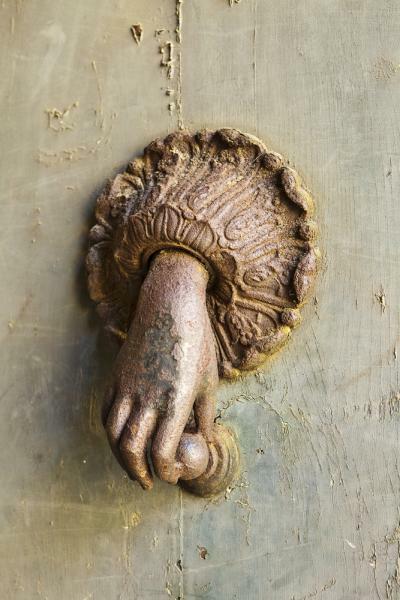 Allow yourself to be pampered at luxurious accommodations in the beautiful Umbrian countryside. Wake up to the sound of church bells and chirping birds. Wander traffic-free ancient streets and enjoy leisurely gourmet meals. This special Italy for chocoholics vacation includes the highlights of Umbria: charming medieval hilltop villages, magnificent historic cathedrals, authentic Italian cooking classes, even a truffle hunt with sniffer dog! The unique tour of Umbria culminates with the EuroChocolate Festival of Perugia October 19th-28th, where you’ll enjoy two days in chocolate paradise. 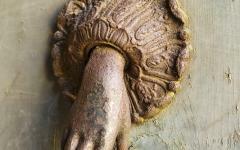 You may also be interested in: Italian Tours on Zicasso. Designed for travelers who appreciate art, food, wine and chocolate, this luxurious and unique tour of Umbria takes you to a fascinating unexplored region of Italy. 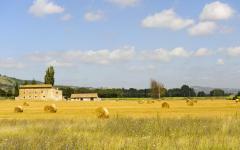 In the unspoiled countryside of Umbria, you’ll discover the real Italy that eludes most tourists. 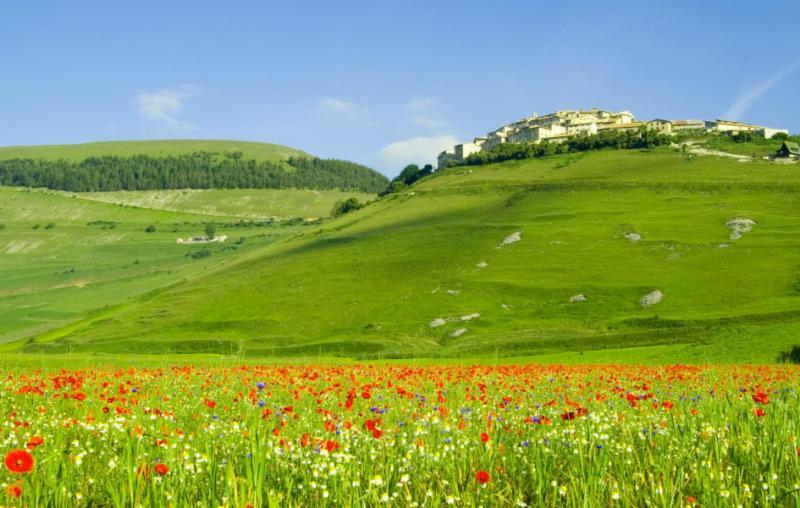 Umbria delights visitors with its vast expanse of beautiful rolling hills and its abundance of lovely hilltop towns. You’ll travel through lush green vineyards and olive groves on your way to ancient abbeys, castles and villages. 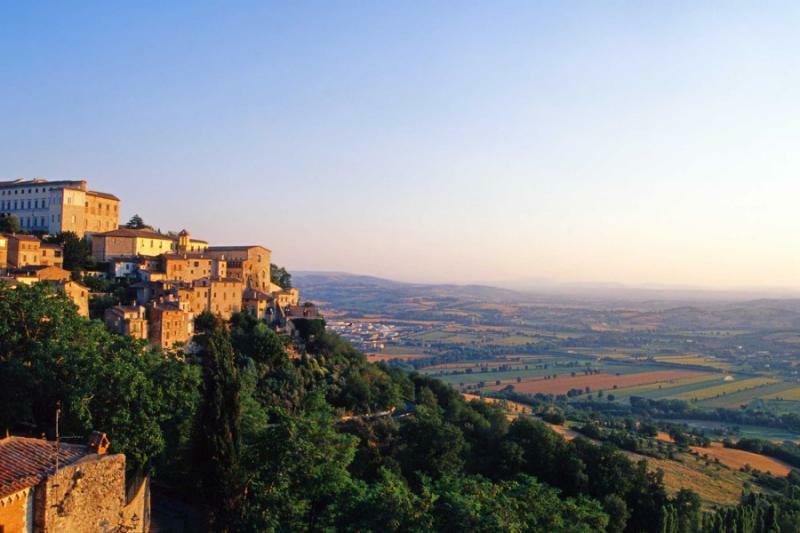 During this week-long vacation, a knowledgeable tour guide will take you to the highlights of Umbria—the most picturesque hill towns of Orvieto, Assisi, Citerna, Gubbio and Perugia. Their remote locations and fortified walls kept the hill towns safe from invaders during the Middle Ages. With their splendid piazzas, cathedrals, fountains and fortresses, these quaint villages are gems of medieval art and architecture. Most of the villages are completely traffic free since the streets predate the automobile by several centuries! It’s a wonderful escape to another world—untouched by modernity. You’ll also feel a magical, spiritual ambiance in the city of Assisi, where you’ll be awed by the mysticism of the Franciscan sites. For a truly indulgent and relaxing experience, you’ll spend all seven nights at a luxurious Italian country resort. 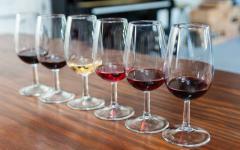 You’ll enjoy the best cuisine and sample the finest wines at acclaimed restaurants. One evening, you’ll be treated to an exquisite meal at a top-rated restaurant, where the acclaimed cuisine is made with local products of the region and respect for tradition. 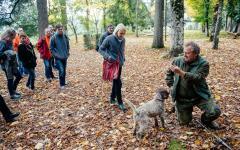 You’ll also go on a truffle hunt with truffle experts and their sniffer dogs. After you find this culinary treasure, you’ll learn how to prepare the truffles during a cooking class. 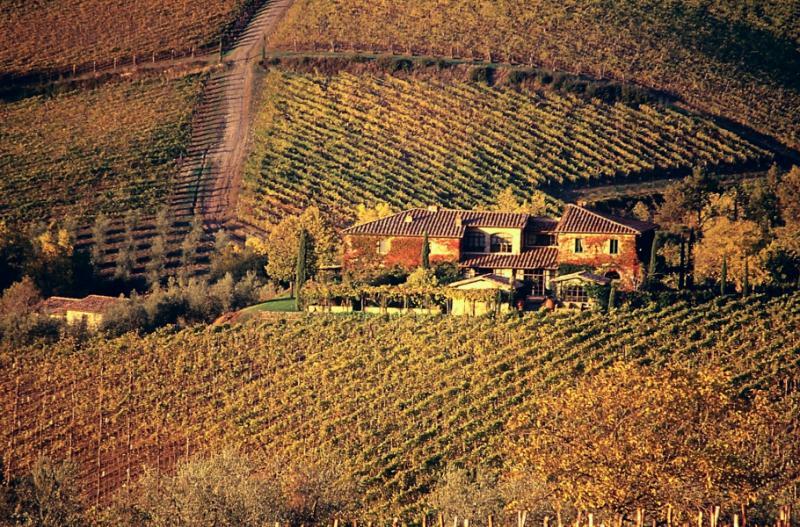 Another day, you’ll visit a renowned winery in Montefalco to taste Umbria’s renowned Sagrantino di Montefalco wines. 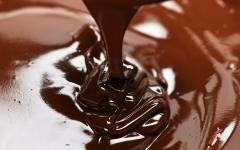 Your Italy for Chocoholics Tour includes the the "EuroChocolate Festival" in Perugia. 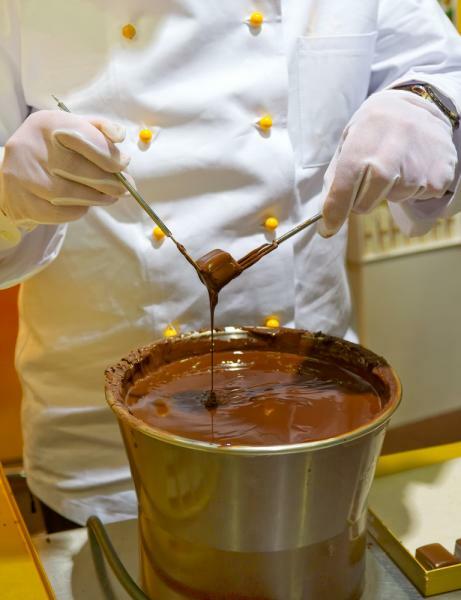 A celebration of all things chocolate, this world-famous event is Italy’s biggest chocolate festival. 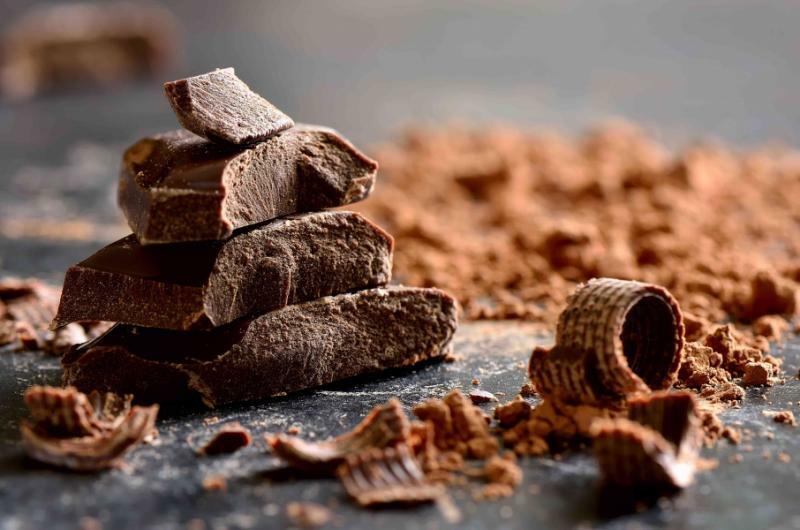 For two days, you’ll indulge in the pleasures of chocolate heaven—sampling the finest chocolates from all over the world and learning from expert pastry chefs how to bake with chocolate. For the chocolate lover, it doesn’t get any better than this! Dates are flexible and customizable for private departures. 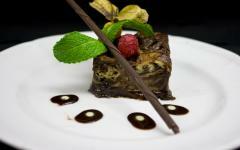 However, it needs to coincide with part of the EuroChocolate Festival, typically in October each year. We'd be happy to customize extensions to other parts of Italy. 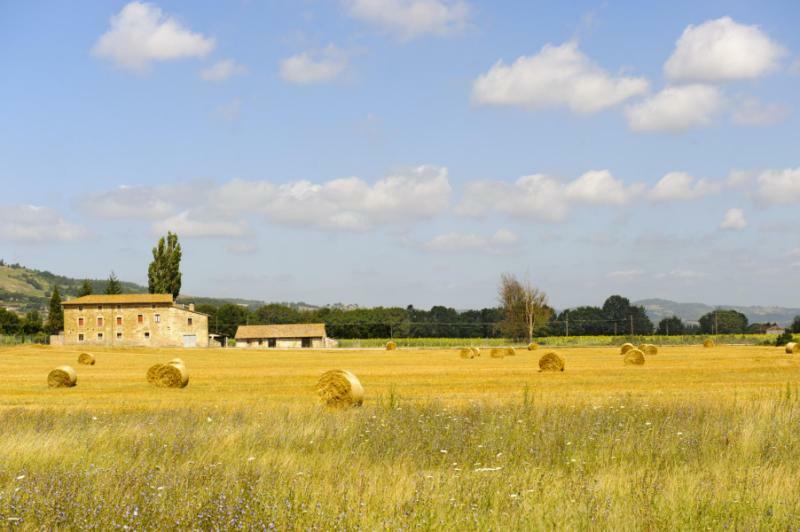 Upon arriving in Rome, you’ll pick up your rental car and drive to Orvieto in the Umbria region—about an hour and a half away. Orvieto is a majestic hilltop town overlooking the Umbrian plains. Enjoy a guided sightseeing tour through this historic gem of a city. You’ll visit the cathedral, a medieval masterpiece of art and architecture. The facade is decorated with beautiful mosaics, while the interior looks like a jewelry box. Some of the highlights include the gold reliquary and the Chapel of Saint Brizio featuring Luca Signorelli’s magnificent Renaissance frescoes. You’ll also visit the 12th century Palazzo del Popolo, a civic building made from the local volcanic rock. After the guided tour, transfer from Orvieto to the tiny hamlet of Torgiano near Perugia. Check in to your hotel, a luxurious historic mansion surrounded by vineyards and olive groves. This 5-star accommodation has an excellent restaurant. Enjoy a delicious dinner at the hotel’s restaurant and a peaceful night’s sleep. 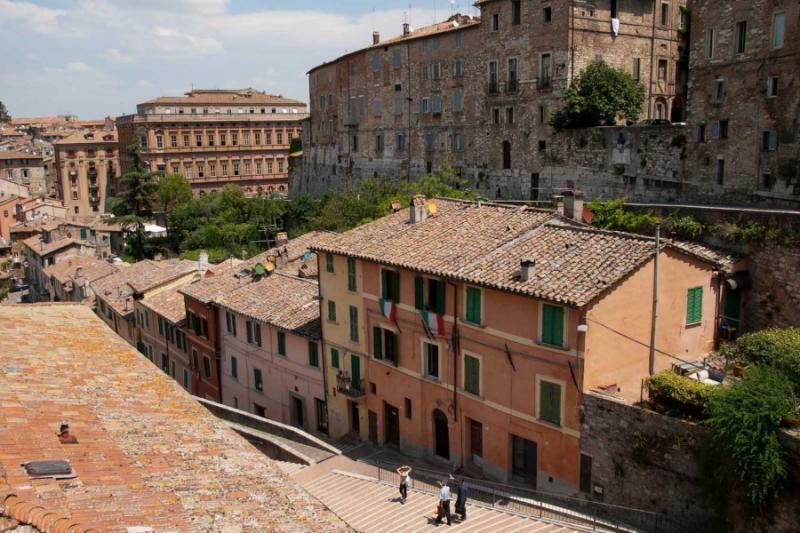 Today you’ll visit two magical places in Umbria: Assisi and Spello. The day begins with a drive through the rolling hills of Umbria past centuries-old pink stone houses and olive groves. 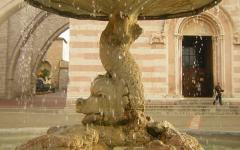 Both Assisi and Spello are ancient towns with numerous masterpieces of art and architecture. Immerse yourself in the charm of the Italian countryside as you slow down to the pace of the rural life. Throughout the day, you’ll hear the soothing sound of church bells that ring every hour at the nearby cathedrals. In the morning, you’ll visit the town of Assisi. Highlights of the tour include the Basilica of Saint Clare and the Piazza del Comune. At the piazza, soak up the ambiance of this ancient square that boasts many impressive medieval and Renaissance buildings. Interestingly, in Assisi you will also find the remains of the ancient Roman temple dedicated to the Goddess Minerva. 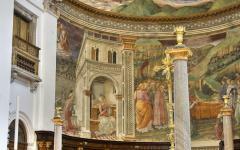 You’ll also visit the Saint Rufino Cathedral located in a charming historic area of Assisi. 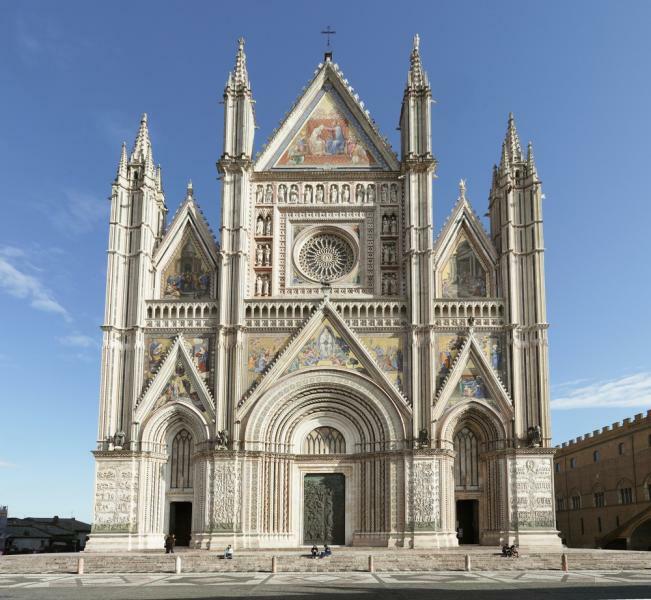 The cathedral’s magnificent facade is one of the finest examples of Umbrian Romanesque architecture. Next you’ll visit St. Francis Basilica, known for its art masterpieces as well as for being the center of the Franciscan Order. This holy place was built directly upon Saint Francis’ tomb. 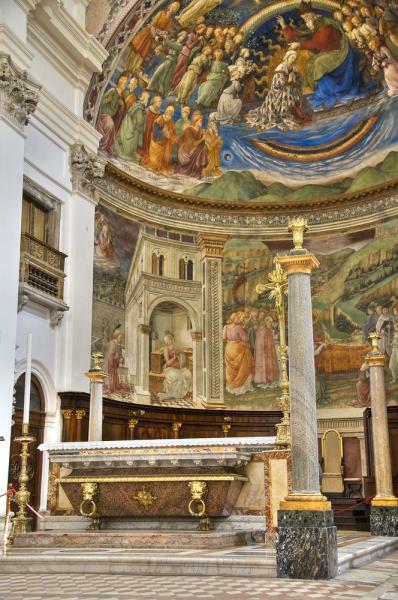 The basilica could be a museum of medieval art with its masterpieces by Cimabue and Giotto, among others. For a true spiritual experience, you’ll visit San Damiano, the humble monastery where Saint Francis received his miraculous calling— he heard a voice speaking to him from the Crucifix. For lunch, dine at a refined restaurant in Assisi that beautifully balances tradition and innovation. 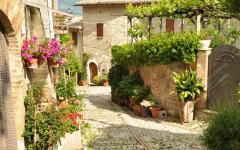 In the afternoon, you’ll have the chance to visit the delightful village of Spello. This beautiful ancient town is surrounded by ruins from the Roman era and fortified walls that date back to the Middle Ages. 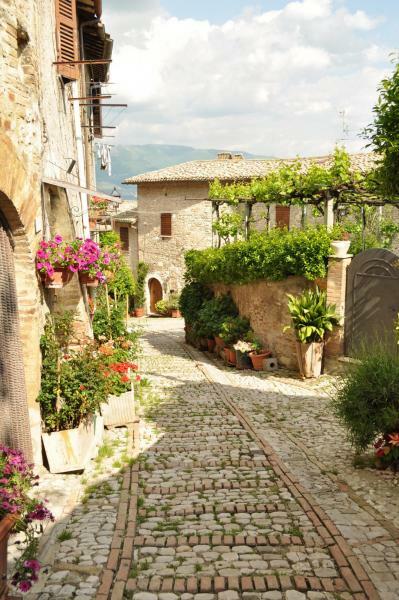 A charming town to wander and get lost, Spello is a labyrinth of narrow medieval streets that are thoughtfully decorated with potted plants and flowers. With its special setting and important church, Spello is truly "a place for the soul.” The 11th century Church of Santa Maria Maggiore features exceptional Romanesque friezes and inside the church’s Baglioni Chapel are spectacular frescoes painted by Pinturicchio in 1500. After your tour of the village, you’ll return to your hotel for an evening of relaxation including a gourmet meal. 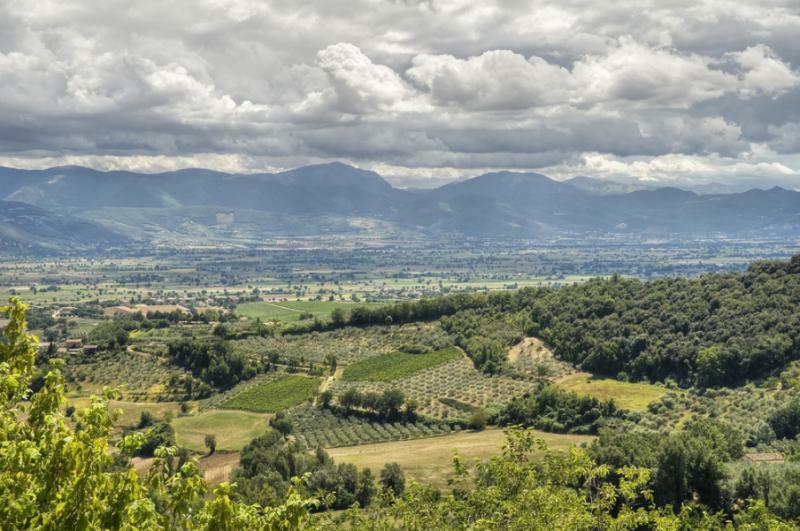 Today you’ll take a drive in the lovely Umbrian countryside to Montefalco, known as the “balcony of Umbria” because of its viewpoint offering a breathtaking 360-degree perspective of the Umbrian Valley. 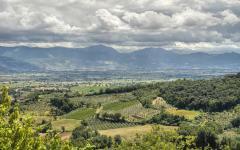 You can see for miles from Spoleto to Perugia, from the Apennines to the Martani Mountains. Montefalco is surrounded by completely intact medieval walls with five gates, so you really have the feeling of being away from it all! 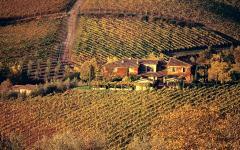 Your visit will include a half-day cooking class at the esteemed Antonelli Wine Estate. The hands-on class lasts for about four hours and includes a meal that you prepare from scratch. You’ll experience firsthand the essence of traditional Italian cooking techniques, including terracotta pot cooking for stewing lentils and roasting meats. You’ll also discover the art of baking pizza in a wood stove as well as how to make gnocchi by hand. Most of the dishes are made with fresh, local ingredients. Many of the dishes are scented with wild aromatic herbs and dressed with organic extra-virgin olive oil. Your cooking instructor is well acquainted with Umbria’s culinary heritage, such as the dishes prepared for special celebrations and religious occasions as well as the simple “cucina povera” (peasant cooking) that is surprisingly delicious. You’ll prepare a complete seasonal menu of antipasto, first course, main course with vegetable side dishes and a dessert—all based on authentic Umbrian recipes. Enjoy the results of your cooking efforts for lunch, accompanied by Antonelli wines with each course. You’ll leave the class with a copy of all the recipes, so that you can prepare the meals at home. In the afternoon, you’ll visit the ancient medieval village of Bevagna that is surrounded by vineyards and olive groves. With its quiet, slow-paced way of life, this peaceful village transports you to another world. The village’s main square, the Piazza Silvestri is the most well-preserved medieval piazza in Umbria. 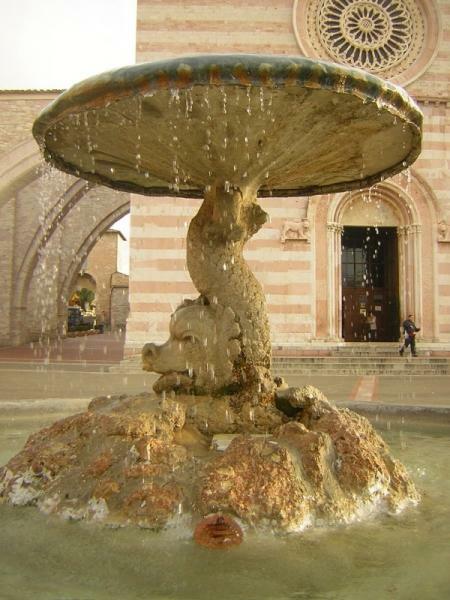 The piazza is surrounded by two jewels of Romanesque style: the Church of San Michele and the Church of San Silvestro. Another architectural gem is the Gothic Palazzo dei Consoli that dates back to 1270 and has been beautifully restored to its former glory. Next you’ll go on a fascinating “Medieval Workshops” Tour. Bevagna is well-known for its Mercato delle Gaite Festival that is held every year in June. For ten days, the village is transformed into a medieval village where every aspect of daily life is reproduced as it was during the Middle Ages. Visitors can take tours of old workshops that still operate using medieval techniques. During the rest of the year, the workshops are closed to the public except for visits made by appointment. Your tour will include specially arranged visits to the four main medieval workshops: The Cartiera (paper making), Cereria (candle making), Setificio (silk making), and the Dipintore (painting on wood). After today’s sightseeing, you’ll return to your hotel to relax for the rest of the afternoon. Enjoy dinner at the hotel or at one of the recommended restaurants nearby. This morning you’ll set out for a full-day excursion to experience the beauty of the Umbrian countryside and discover the region’s most prized ingredient, the truffle. 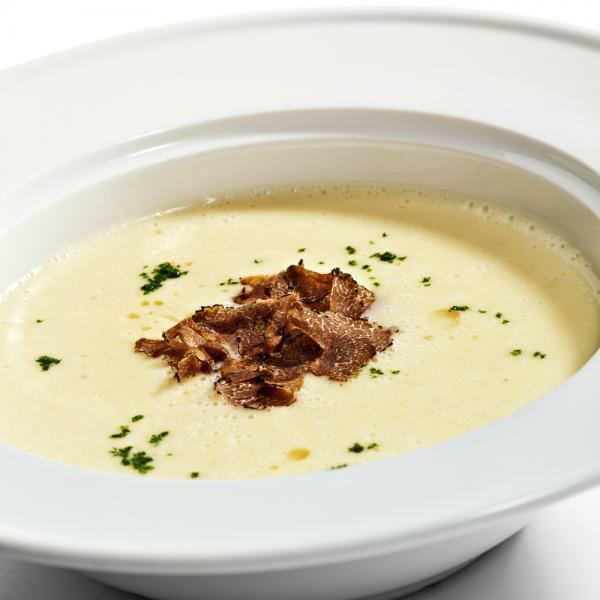 The world’s most prized culinary commodity, the white truffle is worth more than its weight in gold. 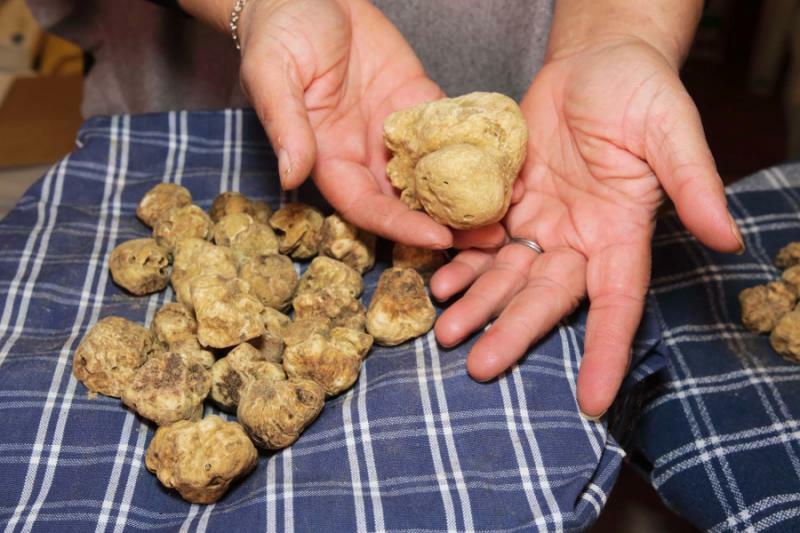 In 2010, two pieces of white truffle, weighing approximately 3 pounds sold for $330,000 at an auction. 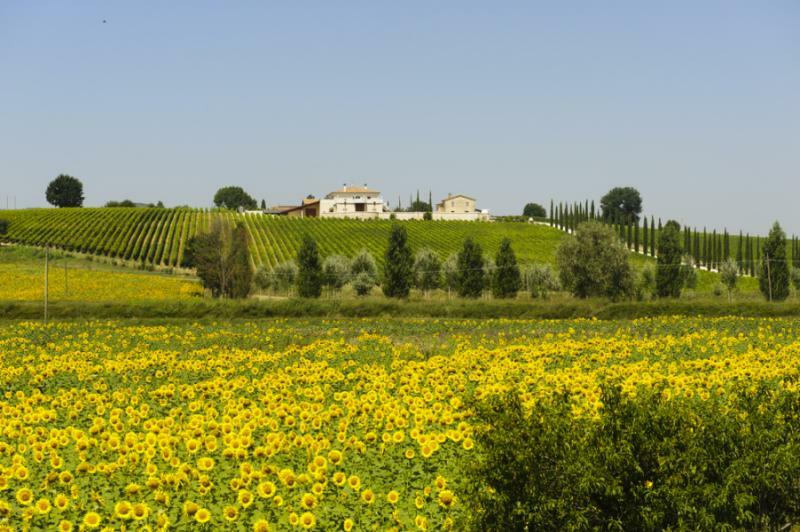 Your excursion begins with a private transfer from your hotel to the north of Umbria, the region bordering Tuscany. This northern area of Umbria, near Citta di Castello, is one of the few regions in Italy where it’s possible to hunt for the precious truffle. 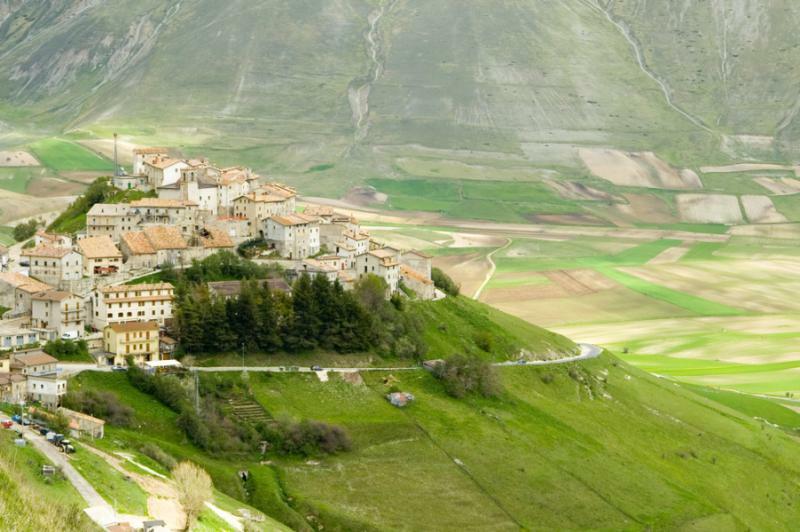 First you’ll stop in Citerna, named one of “the most beautiful villages of Italy,” to admire its medieval charm. Then you’ll visit the nearby Truffle Museum to learn about truffles and their use in cooking (and you can get truffle cookbooks here). 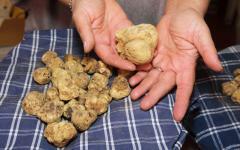 Then you’ll visit a family owned “truffle farm” to discover the fascinating world of this gourmet delicacy. 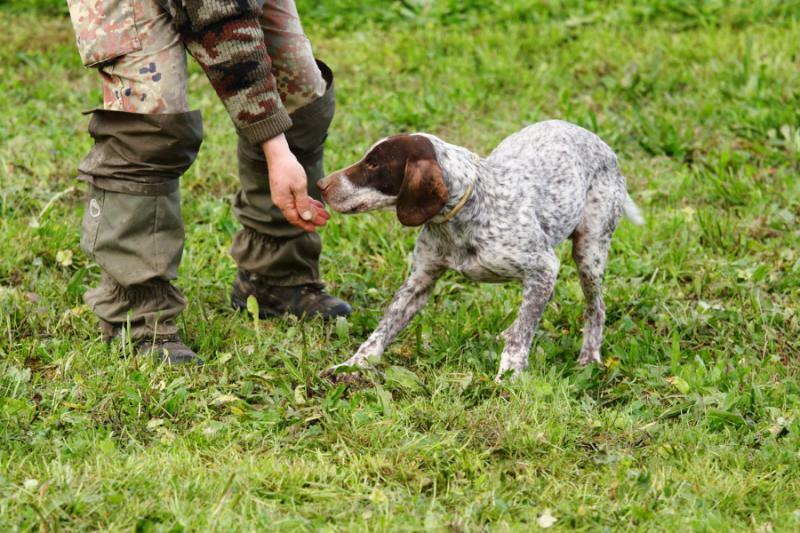 The owners will take you on a tour of the farm and then on a real truffle hunt, where you’ll find the treasure (with help from a well-trained sniffer dog). After you uncover truffles, you’ll see how they are processed. 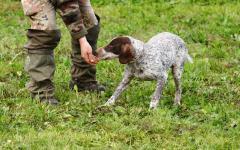 The owners will show how to distinguish the truffle’s different varieties (white, black, etc.) and how to use it in cooking. You’ll assist in a cooking class taught by an expert local chef. 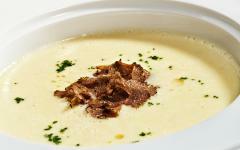 He’ll teach you how to prepare the truffle in traditional Umbrian dishes that highlight it inimitable and exquisite flavor. After the cooking demonstration, you’ll enjoy the results of your cooking efforts. 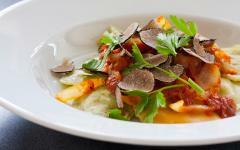 The delicious truffle meal will be served a convivial setting with your local hosts. After lunch, you’ll have a chance to visit the nearby Citta di Castello, a lovely ancient town set among the green rolling hills, or the beautiful village of Gubbio—one of the best preserved medieval towns in Central Italy. 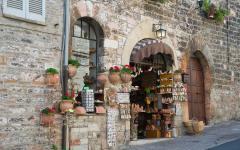 The oldest town in Umbria, Gubbio is rich in historic heritage and artistic traditions. 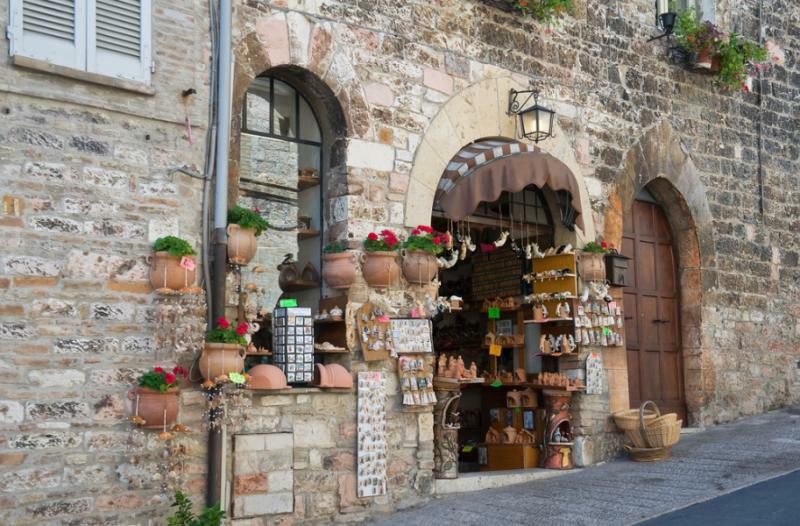 Strolling through Gubbio is like walking through an open-air museum. There are ruins of an old Roman theater and a distinct medieval district from the 14th century with the typical narrow streets and alleyways. Gubbio’s lovely 13th century piazza offers breathtaking views of the surrounding valleys. Another highlight is the Palazzo dei Consoli, a massive palace built in the early 1300s that features an impressive medieval facade. This palace now houses a museum that displays the famous “Tavole eugubine”, seven engraved bronze panels that are the oldest surviving document from early Umbrian civilization. The museum also showcases a notable painting gallery and ceramics by the Renaissance potter Mastro Giorgio. Gubbio’s cathedral is worth a visit to see its interesting Gothic portal and the striking rose window with symbols of the Evangelists. In remarkable detail, the vibrant stained glass represents the eagle for Saint John, the lion for Saint Mark, the angel for Saint Matthew and the ox for Saint Luke. After your full-day sightseeing tour, you’ll return to your hotel for a relaxing evening. Spend your last days at an exceptional experience for chocolate lovers: two full days at one of the most popular chocolate festivals in the world, the EuroChocolate Festival. 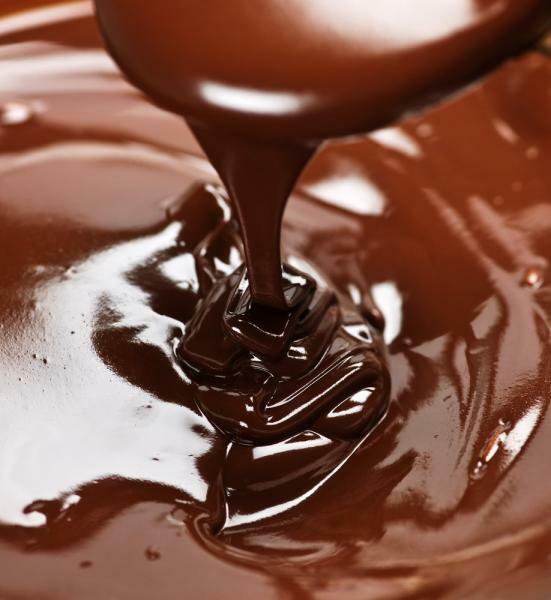 Immerse yourself in chocolate heaven as you attend chocolate tastings and educational activities. 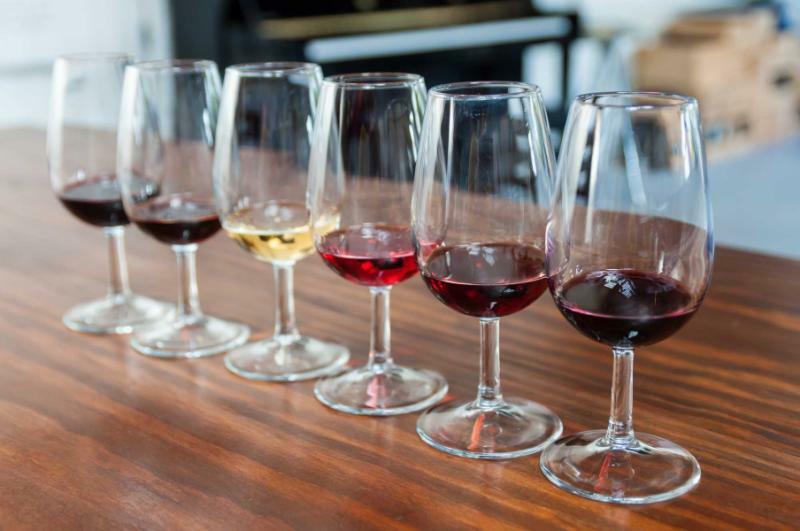 There are so many different types of chocolate to be sampled, as well as pairings with wine and local products. 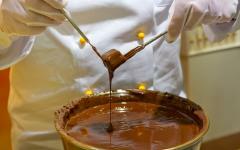 Start by visiting the Perugina Baci Chocolate Factory in Perugia. Baci is famous for their chocolate-gianduia “kisses” that are wrapped in sentimental love notes. 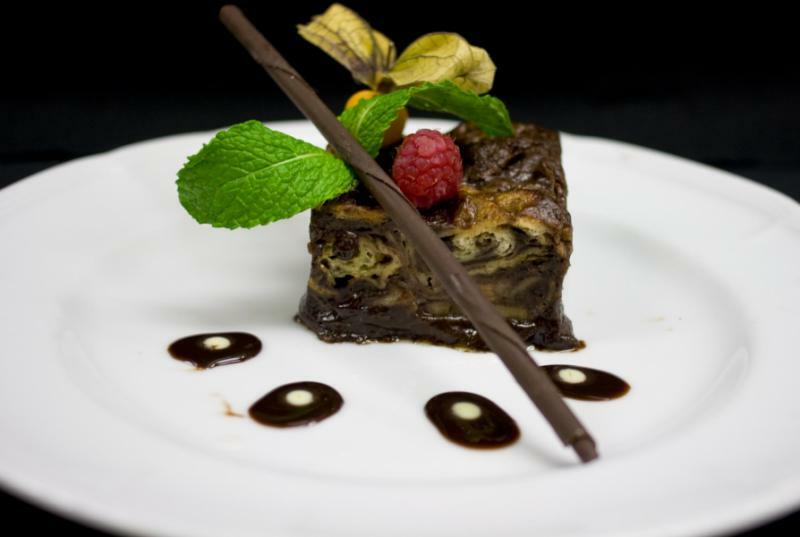 After the factory tour, have a special lunch with a "menu tutto cacao" (every dish on the menu will feature chocolate or cocoa). Then you’ll have the afternoon at your leisure to start enjoying the many chocolate related activities and classes organized by EuroChocolate Festival (calendar of activities varies every edition). For dinner, you’ll enjoy another exclusive meal at a local restaurant, where you’ll sample local cuisine "paired" with chocolate. Today you’ll have another day to continue exploring the wonderful world of fine chocolate. Take advantage of the festival’s myriad of interesting activities and classes (calendar of activities varies every edition). You can make a reservation for Colazione con Pane e Cioccolato, a special breakfast featuring homemade bread and chocolate. You can participate in a tastings of chocolate from Venezuela and other South American cocoa producing countries. There’s even a chance to sample different chocolates with Grappa liquor. We highly recommend participating in one of the classes. You can choose from chocolate making, baking with chocolate, or chocolate ice cream and patisserie classes taught by professional pastry chefs. Today is dedicated to the ultimate pampering including your choice of spa treatments. You’ll enjoy an oasis of relaxation at your hotel’s luxury spa located in the ancient medieval cellars. Indulge in a unique “Vinotheraphy” treatment: immersion in a cask-shaped tub filled with hot water, Sangiovese wine, red vine leaves and virgin grape juice. The treatment has revitalizing, skin softening and restorative effects, and the experience includes a glass of red wine. Alternatively, consider the "Choco Treatment." This spa treatment features a scrub with dark chocolate, a Turkish bath with aromatherapy and a massage. For your last evening in Umbria, you may dine at the hotel restaurant or choose one of the fine restaurants of the region. 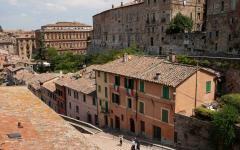 We recommend a special restaurant in a gorgeous medieval castle near Perugia. Here you’ll feel like royalty as you dine on exquisite cuisine prepared by the restaurant’s talented young chef. Your tour concludes after a full week of amazing experiences, unforgettable sightseeing, and much-needed rest and relaxation. After breakfast, drive to the Rome airport for your return flight home. Alternatively you could consider a customized tour extension to visit Rome and other cities in Italy. Small car (Fiat 500 - suitable for 2 people with luggage): about $460 rental (GPS, unlimited mileage and basic insurance included). Medium car (Alfa Romeo MITO - suitable for 2 to 4 passengers with luggage): about $530 rental. 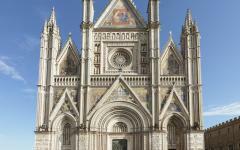 We can customize the tour if clients want to pick up/drop off the rental car in Umbria (Orvieto or Perugia) instead. Special upgraded options are available such as Ferrari or Lamborghini. "Worked with us to plan our personal itinerary, exactly as we wanted." "I feel like I had the best travel planner in all of Italy."